A guide to folk dance bands and callers in Tasmania. 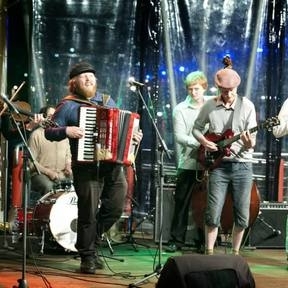 Most of these bands have played for the Folk Federation’s monthly dance series. They are all available to play for a variety of other events. Please support them. They can all help your group have a great time. 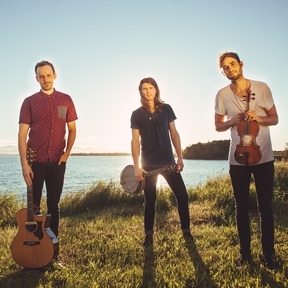 As the Crow Flies: Driving, contemporary fiddle music by three young Tasmanian fiddlers. 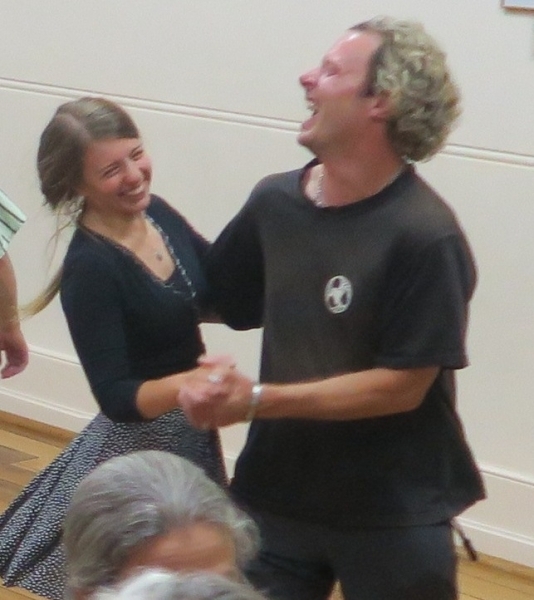 Cool contra dance music (and lively concerts). Contact Emily Wolfe, asthecrowfliestas@hotmail.com, 0458 913 411. Hear them at http://asthecrowflies-tas.bandcamp.com/releases. David “Oddsocks” Wanless: A danceoholic and a dance caller for many Tasmanian bands and in many dance traditions. He has called dances from Mawson station in Antarctica to the Prince Edward Island in Canada. 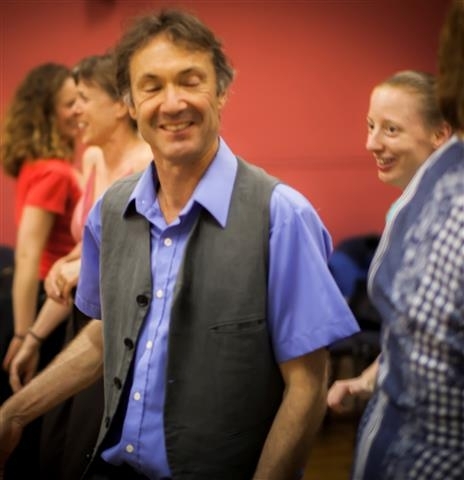 He calls dances from many traditions including Irish, Scottish, Contra, English, Renaissance, traditional and contemporary Australian (including bush dances), Balkan, Balfolk and his own compositions. Contact folkdancetas@gmail.com or ph 03 6273 2127. Can organise you a band or be booked with a band. 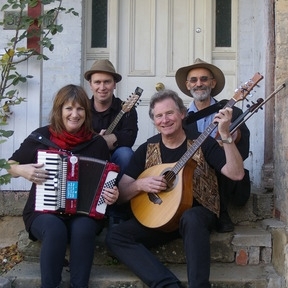 Formed to perform the songs from the play about the Irish-heritage Tasmanian bushranger Matthew Brady “The Devil’s Own” feature one of Australia’s premier folk fiddlers Ross Smithard, Annie Parsell, Mat Woolley and Peter Hicks. 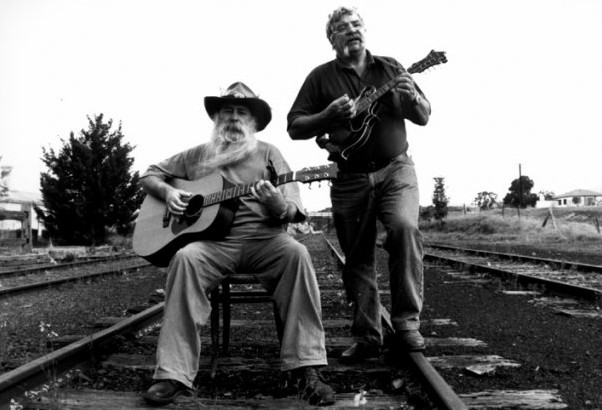 Ross has years of experience performing throughout NSW in the popular bush dance band “The Tin Shed Rattlers”. 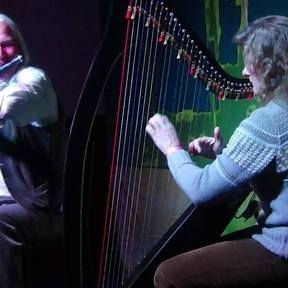 Annie and Mat perform regularly as Twice Bitten and previously Mat, Annie and Ross performed as part of the To Rags celtic group. Peter performs rhythm guitar and sings with The Ranters. 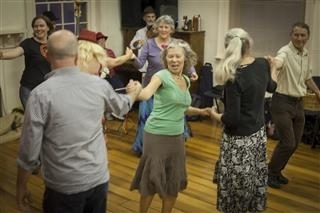 The Devil’s Own play can play for a variety of dance styles, including bush dances, contra dances and Irish ceili dances. 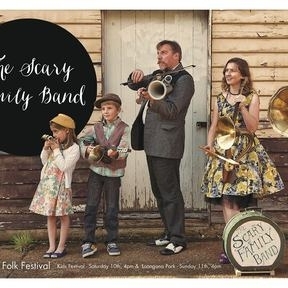 Hobart Old Time String Band (HOT String Band): Hillbilly, traditional, American old-time and rootsy music and songs, for listening or for dancing, including bush dancing. Sarah Lewis: Sarah is an experienced danceoholic who crossed over into the dark arts of calling a few years ago and is in demand with several Tasmanian bands. Contact tasdancingfeet@gmail.com or ph 0409 218 414. Can organise you a band or be booked by a band. 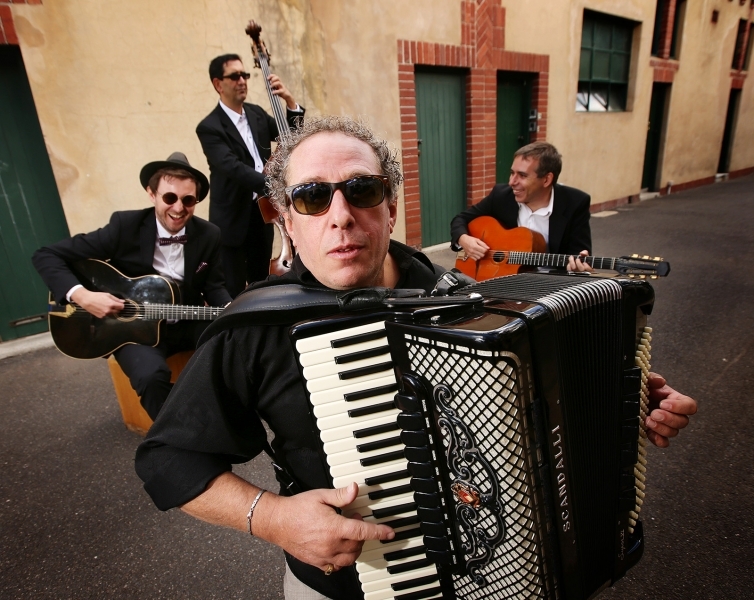 Steptoe Bush Band: dances and music from many cultures. Contact Paul Calvert-Smith, 03 6239 1495, 0407 123 410, pcalvertsmith@trump.net.au. 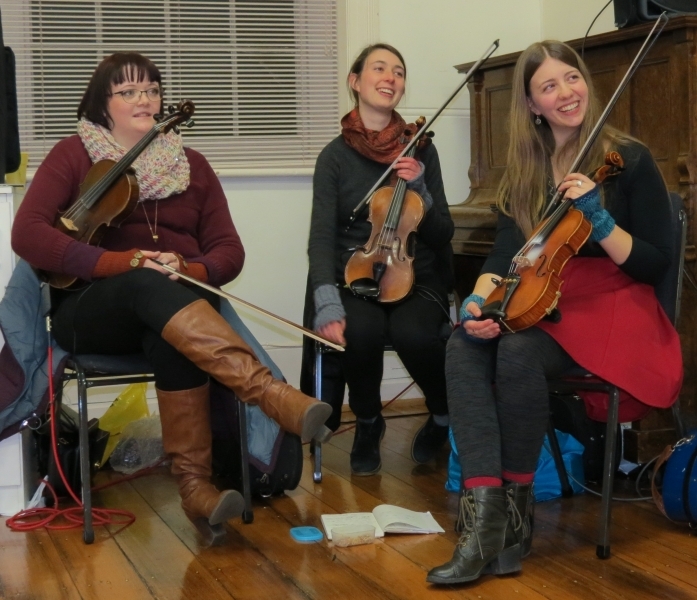 Tasmanian Heritage Fiddle Ensemble: Tasmanian music, collected and contemporary. Contact CC Thornley, carlos@thebsot.com, 0455 885 580, 03 6234 2829. VerandahCoots: traditional Australian dancing. Contact Julie Edwards, 0409 360 291, Stuart Graham, 03 6239 1517. Having a dance is a great way to bring people together, have fun, get some exercise, meet people, smile and laugh a lot and feel the joy of moving to music. You can have fun with recorded music, but there really is no substitute for live music with your dancing. If you want to have a dance at your wedding, birthday party, school, community event or just organise a dance for your community, here are some tips. Start early. Venues and bands can be booked up so ideally make contact months ahead. However, if it you don’t have that much time, still ask. Book a band, a caller and a sound system and sound engineer. You can either book these separately, or more usually, ask a band or caller to book all three. It can be worth contacting several to see who can give you the best time at a price which suits you. Different bands play different types of music and do different types of dances so choose something to suit your style. Make a clear agreement with the band/caller about what you are asking them to do and how much they will be paid. That way no-one will get any nasty surprises. Bands and callers can often give you advice on various aspects of your event as they’ve done this before. Attending one of the regular or special dance events/groups listed on our Forthcoming Events or Dance Groups and Regular Events pages is a good way to learn whilst having a great time.